Paramount Enterprises with renowned brand .PARENTNashik is an ISO 9001:2015 certified company listed in top leading manufacturer, supplier & exporter in Nashik – India. Specialist in resistance spot welding spares, parts,consumables for robotic welding, portable welder,spot welding gun,projection welding etc. 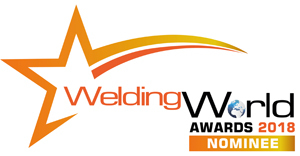 The PARENTNashik has been nominated in the ‘Best New Welding Products Supplier’ and ‘Best Surface Finishing’ categories.